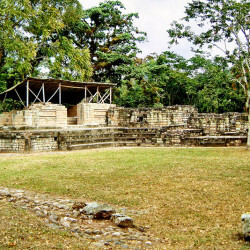 Las Sepulturas was a residential area for the nobility of Copan, and is situated a little more than a kilometre north-east of the main city. 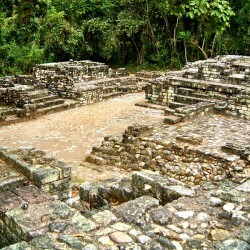 It was connected directly to the main ceremonial centre by a large sacred road known as a sac’be. 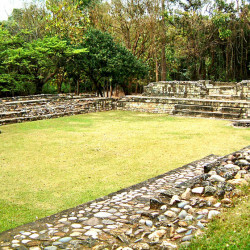 Although it is a relativity small site, it is home to a lot of archaeological investigation and some very important finds have been uncovered here which have helped historians piece together the history and prehistory of Copan. 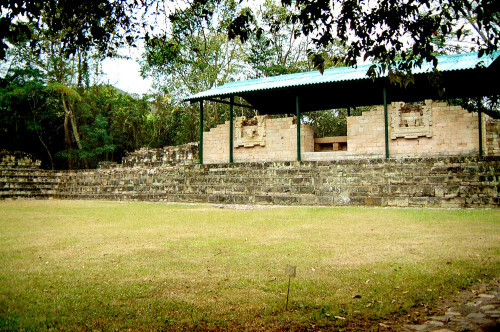 Las Sepulturas also provides an excellent insight into how the Mayan aristocracy lived, with several open plazas flanked by impressive houses and municipal buildings. 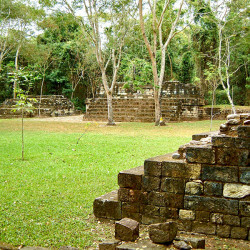 Las Sepulturas translates to “the Tombs” – a name given to the site by local farmers who discovered an abundance of tombs around the area. 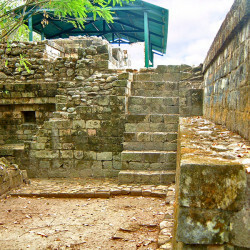 The nobility of Las Sepulturas were indeed buried under and around their homes here, with the oldest being the 5th century burial of a priest found in Plaza A. 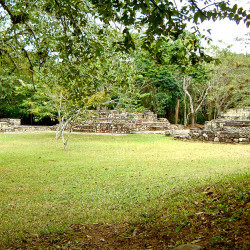 Structure 9N-82 The highlight of a trip to Las Sepulturas is almost certainly the mysteriously regal Structure 9N-82, which is also known as the House of The Ba’kabs. 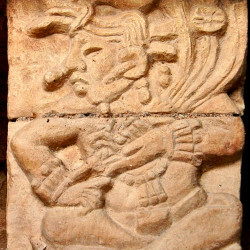 Outside, the finely carved false windows feature the busts the elderly Pauahtun holding a shell and stylus. 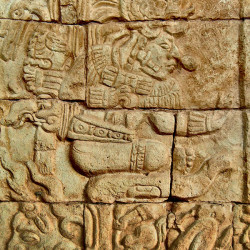 Inside Structure 82 is an incredible carved bench, similar to that commissioned by Yax Pasaj found in Structure 10L-18 at Copan. 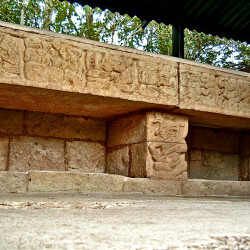 This bench is the subject of much speculation – so read more about it in the article on the House of the Ba’kab. 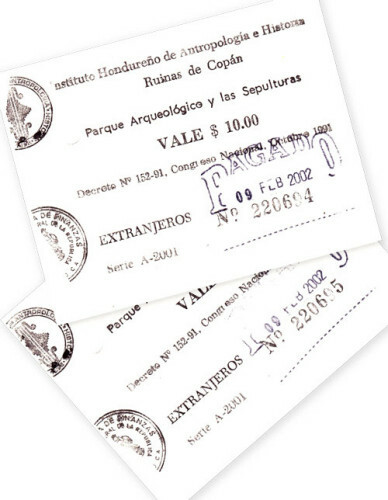 Tickets from 2002There are plenty of other notable structures to investigate at Las Sepulturas, most of which nestle around private plazas exuding class and wealth. 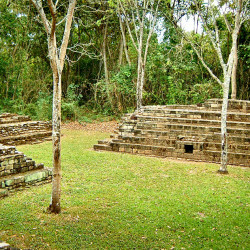 Surprisingly, the houses are very modest in size and this probably reflects a religious philosophy – this is a civilisation that chose not to use the wheel because their Gods chose not to. 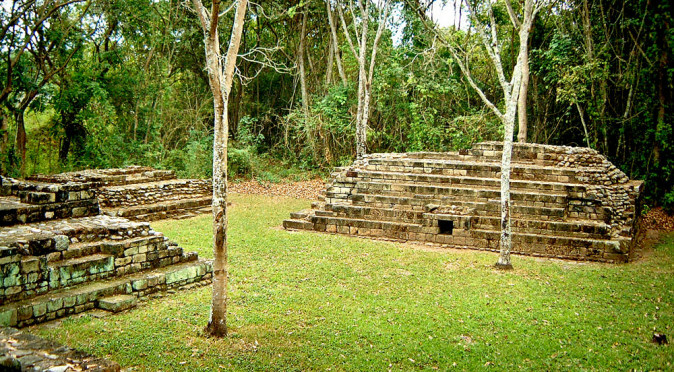 It is rare to find such a well preserved and presented residential group, as often the reconstruction is focussed on tourism the main complexes. 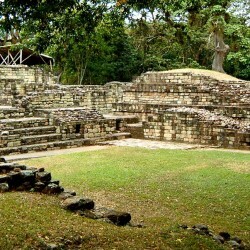 This makes the trip to Las Sepulturas all the more special. 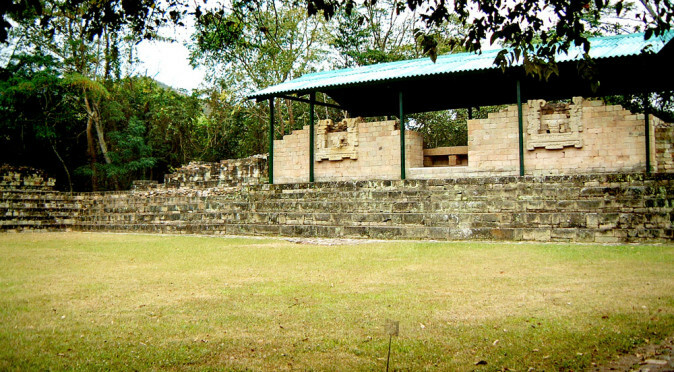 Entrance to Las Sepulturas is included in the ticket price for Copan and it only a kilometre’s walk from the main archaeological site – so it is well worth visiting. 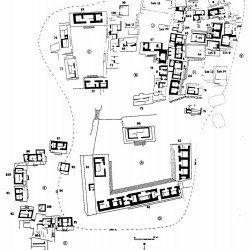 In antiquity, the two sites were connected by a sacbe – a wide road. However, these days there is private land between the two sites, but it is quite easy to walk up the less ceremonious highway instead.